We all know how important it is to get those ZZZs. Yes, we sometimes like to contribute a lot of our focus and daily success to the mass amount of coffee we may intake—but truly it’s sleep. Getting the right amount of sleep is so important, but sometimes that may be hard to achieve when you're not in the ideal sleep environment. Obviously, we know the difference from sleeping on the couch opposed to sleeping on a Tempur-Pedic mattress; but the way in which your bedroom is designed can mean a lot. The colors in your room, the type of art, and even the height of the bed itself can influence your sleep patterns. 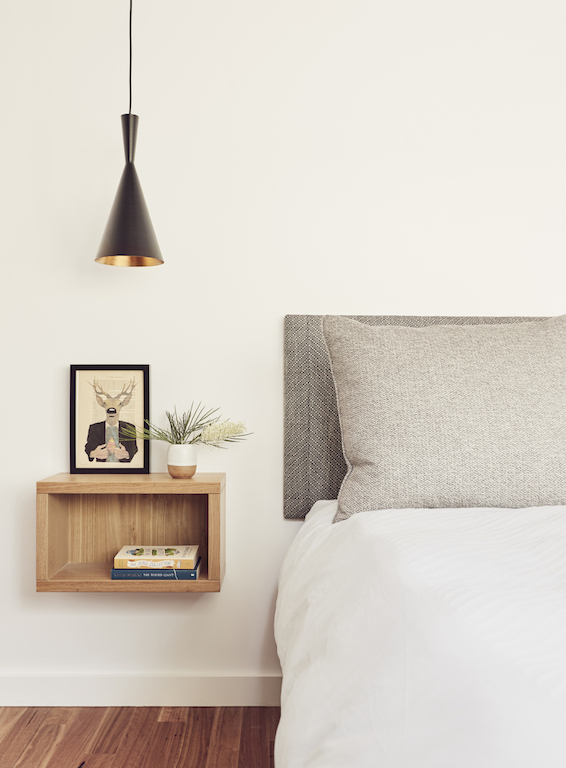 The Tuck Sleep Foundation— an online community developed to improve one’s sleeping habits— put together a blog with a few design tips on how to get the most out of your sleep as well as correlating to the top bedroom design trends of 2018. Where you sleep is just as important as how you sleep. Your sleep environment can influence your sleep quality. A healthy sleep environment should be cool, dark, quiet, and comfortable, offering a restorative place to doze off easily. Some design trends are too bold and exciting, making it difficult to fall asleep and stay asleep comfortably. But many of 2018's new design trends take on a cooler, more minimalist and streamlined look that supports healthy sleep. Cool colors: We're seeing a lot of light blue, gray, and yellow in design trends for 2018. Light colors, especially blue, are a great choice for bedrooms. Dark, bold colors can be too stimulating, or make your bedroom feel cavelike. A light, cool color is calming and opens up the depth of the room. Look for shades of light turquoise for an on trend look. These tones can be used on walls, bedding, curtains, accents, and more. Minimalist headboards: Headboards can be a bold focal piece in your bedroom, but a more minimalist look can help you avoid letting a massive headboard take over the room. A bed that feels too large can make your entire room feel cluttered and stressful, so a less imposing headboard is a good choice for smaller bedrooms. Low profile bed frames: Similarly, bed frames are becoming more minimal. Often, bed frames don't require the use of box springs, offering a more low profile look. Beds are often set closer to the floor as well, a departure from beds set high up with tall box springs. Ordering mattresses online: We shop for everything online these days, and mattresses are no exception. More consumers are looking online to buy mattresses, not just find inspiration. This is a positive trend, as online mattress companies often have excellent 100-night+ guarantees, good customer service, and extensive information to help you choose the right mattress for your needs. Hanging metal pendant lamps: Light in your bedroom is important to maintaining the right circadian rhythm, and light that shines in your eyes from above, such as a fan light or recessed lighting can confuse your brain and body at night, making you feel as if it's daytime. A better choice is lighting that is below eye level, which can be achieved with hanging pendant lamps. Hang these near your bed in a way that they don't shine directly into your eyes, but illuminate below with light that diffuses gently throughout the room. Minimal, yet bold accents: An single large piece of bold art, or pops of color on an otherwise gray or monochromatic color palette can add personality while keeping your bedroom environment calm. Midcentury design: Clean, modern lines are making a comeback. This design is an excellent choice for your bedroom, offering a streamlined look that can reduce stress and anxiety as you're resting. Carefully designed mess: The boho look is in, which can be a little cluttered and stress inducing. But there's one big caveat to this trend: this mess is carefully arranged, such as stacks of books or asymmetrical lighting. With careful arrangement, you can organize your things so it's not stress inducing as you're ready to go to sleep -- but still embrace somewhat of a mess. Myra Campbell is a researcher for the sleep science and health organization Tuck.com. Her passion for art and design brought her into the field. She began by researching how to create a relaxing bedroom and learned that great design can help improve our health and well-being. Myra lives in southern California and shares her queen-sized bed with two rescue dogs.